Coming in as a little surprise today, Goodsmile Racing has revealed the Racing Miku 2018 visual by Hiro Kanzaki! Hiro Kanzaki, also known as HanasoumenP or HSP, is a professional trance music artist as well as a talented illustrator. He is most recognized for his illustrations in the popular light novels “Oreimo” and “Eromanga Sensei”. 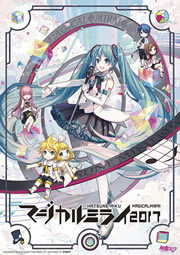 In the Vocaloid community, he has been has been around since June 2008 and most known for his song “Unfragment“. An image of the prototype Nendoroid was also revealed along with the key visual, based on the original design announced a while back at Magical Mirai this year by kome100. Nendoroid sponsorship courses are expected to open in February 2018. More info regarding the courses is due at later date. In addition, the official website has been updated with the new visual as well as the race schedule. Fight, GSR! Snow Miku 2018 Official Music Video “Round off the Square Earth” by TOKOTOKO Released MikuFan’s Plushie Giveaway Results, Merry Christmas!